It's predawn at the Walker Ranch Open Space property west of Boulder. 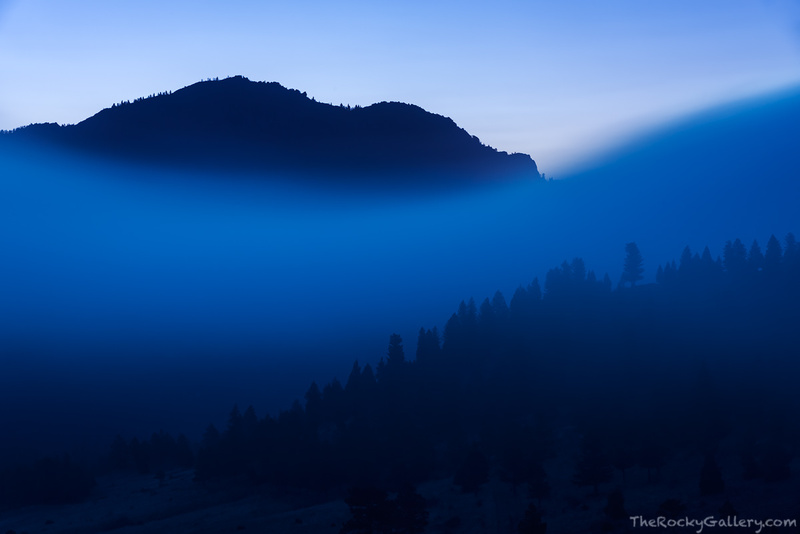 Fog drifts behind the back or westside of Boulder beautiful Flatiron formation on a cool but spectacular April morning. Photo © copyright by Thomas Mangan.